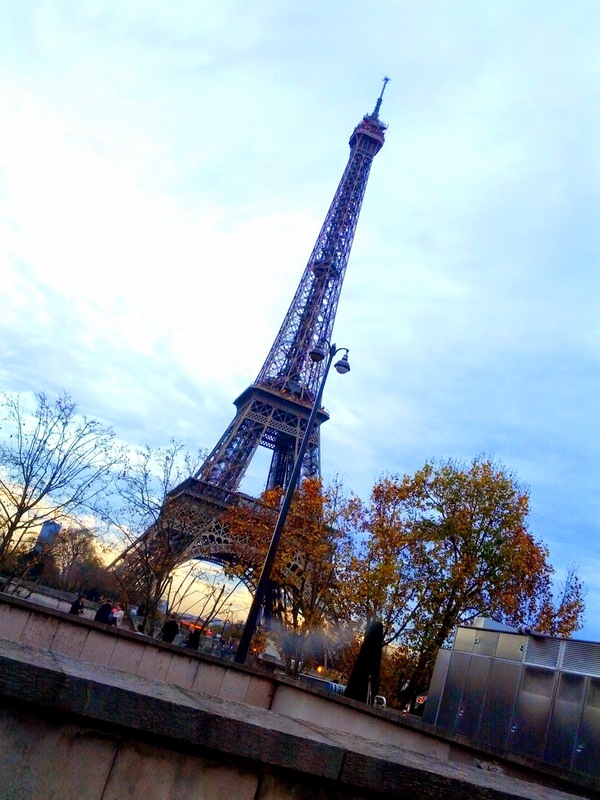 I had to use an Eiffel Tower photo for my last day in Paris! When you read this post I'll be on a plane to Malta, where I'm going to relocate for "a certain amount of time". I'll tell you more when I have more time, for, as you probably noted I haven't been very responsive lately due to the amount of stuff I had to cope with for my move. I passed ET it today, as I was heading towards my father's home to kiss him goodbye. Not an easy moment. Anyway, Malta is just 2:40 hours away from Paris, so I'll be back sooner than later! Now you may wonder what I'm going to do with PDP... Well for now I have decided to continue until the end of the year. I'll use some old unpublished photos. Stay tuned. I don't think I've been so sad to see the Eiffel Tower before, since it is truly signaling the impending end of PDP. However, I'm wishing you all the best on this exciting new chapter! Eric... I've been a city kid save those ten years i spent living in the mountains outside of Denver in Colorado.... In comparison to our much beloved city of lights that you're leaving, Malta IS IN THE STCKS !!! Malta.. REALLY?? .....no matter how my day went, there was/is PDP to escape, to dream or just to get away from it all....bon voyage Eric! The good thing is Eric, we know how to get hold of you, so we shouldn't be too sad and you will be back to Paris, eventually. Have a fabulous time in Malta! I hope you continue the tradition with a Malta Daily Photo? Godspeed, mon ami. A sad countdown for us but what a great new adventure for you and your faithful sidekick. Honestly, I'm kinda envious! This page can certainly morph into Malta Daily Photo! A magnificent shot! I miss you now and I never even got to meet you in person! Yet I feel like I know you. Enjoy this new adventure. Thanks for sharing what you can for now and thank you most especially for all the beautiful glimpses of Paris that you have been sharing with us. I look forward to what ever PDP morphs into and that your time in Malta is successful and interesting and a source for even more brilliant images. Wishing you the best in this new and exciting phase of your life. Like many others, my blog had never been born without your wonderful inspiration. And like others before me have said, I hope that maybe in the future will be a Malta Daily Photo blog. It was your blog that inspired me to start posting an image from my city.... I will keep looking both for updates here, and also if Maltadailyphoto will be up and running perhaps in 2015. Anyway, enjoy your new city! Thank you for giving me a daily glimpse of one of the worlds great cities, the city will be a little less great without you. Thanks for sharing Paris with us. Wish you the best with the new challenges that lie ahead. I know nothing about Malta, I had to look at a map to see where it is. Fortunately I will learn a lot about it by following Malta Daily Photo. Bonne Chance! Big, emotional departure for you, I'm sure. And clearly you affected many others. If I ever get back to Paris, I have friends there who I met through you. Wow. Since 2006 when the first picnic occurred. You created a monster! By the time you read the posts, you will be in Malta already. All the best in your new home on the island ( don't know which one :-) ) and amongst the expats there. Learned a lot about the unusual of Paris through PDP and hopefully will learn more about Malta through your lenses to get me there for a second visit one of these days. Warm best wishes and thank you so very much for your beautiful photos and a delightful escape! Thank you very very much, Eric. We, in the Netherlands, just 5 hours from Paris, enjoyed it every day !! Bon voyage et bonne chance, Eric. I wish you all the best in your Malta location and many, many thanks for sharing your Paris. Paris je t'aime. Je suis triste car j'aimais bien, chaque jour, apprendre des nouvelles choses sur Paris et voir de magnifiques photos. Grâce à vous, je connais un peu mieux la capitale. Thank you so much for bringing a little bit of Paris to south east Australia each day and for feeding an insatiable addiction to the beautiful City of Lights. I hope you appreciate how your dedication and photographer's eye have enriched the lives of so many. It is quite sad that you are moving from Paris. I started daily photo blog, like many others, with inspiration from you. All the best, ERIC. Five years ago I started TilburgDailyPhoto thanks to you. It has been given me lots of pleasure. Thank you! All the best to you, Eric! Keep us posted as to how things are going. I have enjoyed your blog so very much over the years. Best wishes to you.